A Merry Christmas Message for December 2017! And Holiday Wishes to Everyone! The image above is special as it represents a turning point and a verification of battle plans of the principal generals near the close of the American Fight for Independence 1781. It is the result of unity between America and France. 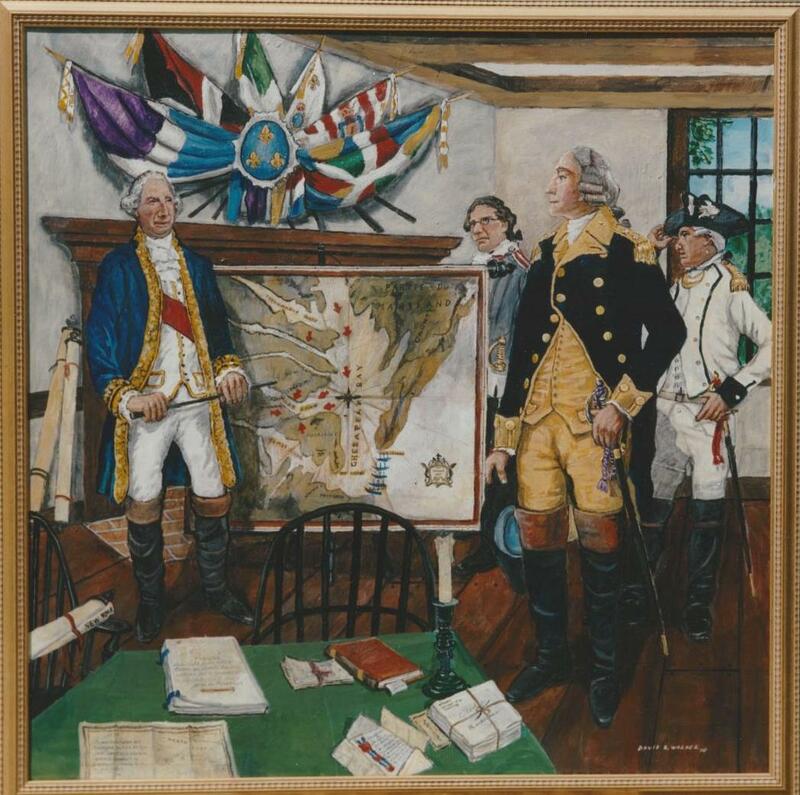 In this painting by David R. Wagner, Connecticut’s own painter of the Rev War, we see General Rochambeau on the left and his American counterpart General Washington, on the right examining the map of the eastern United States. Rochambeau has just received a message from Admiral De Grasse saying that he is on his way north from the French West Indies with the much needed cash, ships and soldier/marines to meet the combined Franco/American Army at the Chesapeake. Once they are all assembled near Yorktown, Virginia, they, along with Lafayette and his army, will force Lord General Cornwallis to back up to the bluff of Yorktown from which there is no exit! The die is cast at this meeting in Phillipsburg, NY. Their Christmas celebration that year would be one to celebrate! Raise a glass to King Louis XVI !! See you again in in January 2018!